We have appropriate security measures in place to prevent the loss, misuse or alteration of information that we have collected about the users of hotelvilnia.lt website. hotelvilnia.lt staff are committed in writing not to disclose or provide any information received about the company’s customers to third parties, including information about the users of hotelvilnia.lt website. From the time of consent/2 years. These cookies are essential to the proper functioning of hotelvilnia.lt website. These are cookies operated by other organizations via our website. In our case, the Google Analytics cookies used on hotelvilnia.lt website are utilized to analyze the website traffic. Google Analytics collects anonymous information about the number of users, the location from which our website has been accessed, and the parts of the website browsed by the users. These cookies are created by Google Analytics. To learn more about Google Analytics, please visit http://www.google.com/analytics. Our website contains links to other websites operated by individuals, companies or organizations. 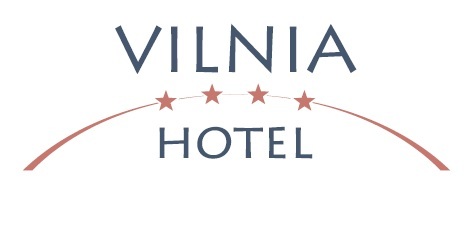 Please note that hotelvilnia.lt is not responsible for the content or privacy practices of linked websites. When you click on these links and enter these other websites, you should review the privacy policies which may apply to these websites. If you have any questions or want to exercise your rights, please contact us by email at info@hotelvilnia.lt or reach out to us via other channels indicated on this website.